Meet our staff, students and SIPRA students. Are you ready to take the first step with RISE? Apply now! 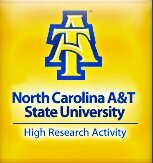 The NIGMS Research Initiative for Scientific Enhancement (RISE) program at North Carolina A&T State University supports unique student development activities including a pre-matriculation program, sophomore immersion program, on-campus faculty mentored research experiences, summer research internships, tutoring, supplemental instruction, graduate school and GRE workshops. The goal of the RISE training program is to increase the number of minority students who remain in the sciences pipeline and consequently pursue terminal degrees in the biomedical sciences. The program enhances student research capacity and research training for students in the departments of biology, chemistry, and psychology. The RISE Scholar program is for undergraduates who want to pursue terminal degrees and careers in the biomedical sciences. Students that have participated in the Pre-Matriculation Program are eligible to apply for a limited number of available slots. The criteria for selecting scholars are based on competitive applications demonstrating strong academic qualifications, and a specific interest in pursuing a PhD and research careers in the biomedical sciences. The scholar program helps students gain the skills, motivation and expertise needed to successfully pursue graduate degrees and research careers in the biomedical sciences. They will receive academic and social supports to assist them in maintaining honors status: tutoring, supplemental instruction sessions, developing portfolios, personal statements, interviewing skills, preparing for the Graduate Record Examination (GRE) and preparation for graduate school admission. The program also provides opportunities for students to develop their skills in scientific communication and analytical reasoning through quality research experiences. Scholars participate in on-campus faculty mentored research, summer research internships, and present at professional presentations at North Carolina A&T and at scientific meetings.